Christmas is coming fast and there have been so many amazing posts for the holidays. It was hard to only pick a few features but hopefully you will get some inspiration from the ones I picked. Thanks for hosting, Bev! I've linked at #62 this week. I just love your dishes. so perfect for the holidays. You have the most amazing dinnerware. Your table looks so lovely. Hi Bev, Christmas certainly is coming fast. I LOVE that little reindeer!!! I agree that it is coming way too fast. The year will be over soon - so sad. I love your Christmas box idea. Thank you so much for the feature, Beverly! What a blessing! 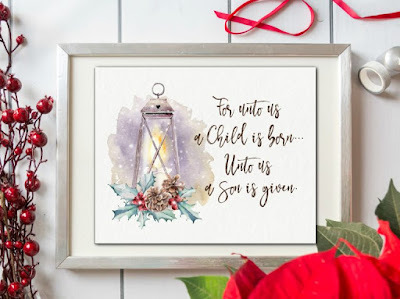 I'll be linking up later this week, as my Christmas posts have gotten away from me! 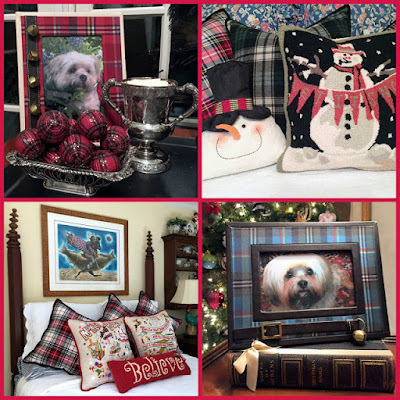 Acclimating to blogger's Christmas life! ;-) Be back this weekend! You are so welcome for the feature. I have not been able to do my own posts either. I get the parties done but no extra time for my own. there is always next year. lol! Thanks so much for the feature!! I will be giving you a Shout Out in my next post, on Google+, face book and in my next post!! Thanks for hosting each week!! My Link Ups for this week are #107,111, 113! You are so welcome for the feature. I love all of your decorations, especially the choir boys. So adorable. You are so welcome for the feature. I too want to make those cake cups. 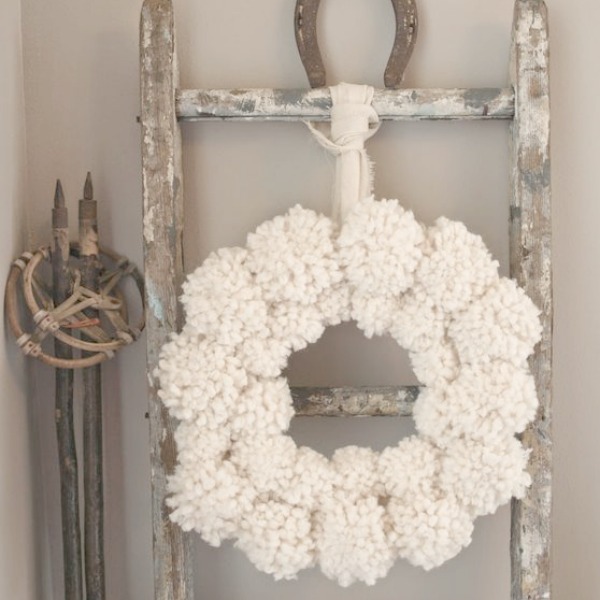 I love that Farmhouse store. Wish we had one of those near me. You look great in that awesome truck. I also love your house, especially that kitchen. 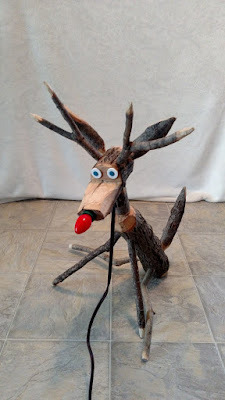 Thank you so much for featuring my Grampaw's reindeer! 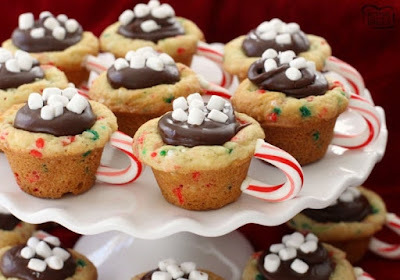 I love those Hot Chocolate Cookie Cups, too! I am numbers 155 and 157 this week. Enjoy! 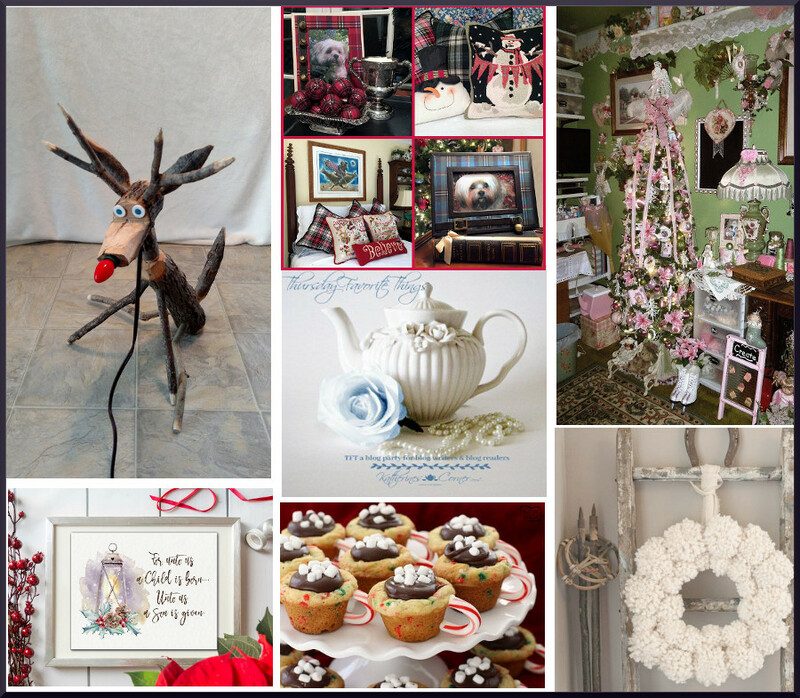 Thank you so much for sharing your adorable kitchen Christmas ideas. I especially like the stocking silverware holders. I am pinning them to make next year. I also love all of the candy treats. So yummy. Thank you so much for sharing your incredible dishes with us and always stopping by. Thank you for the party. Our links this week are: #259, #260, and #261. I should have the broccoli soup but the chocolate cake and recesses peanut butter cups are calling my name. Have a great week. 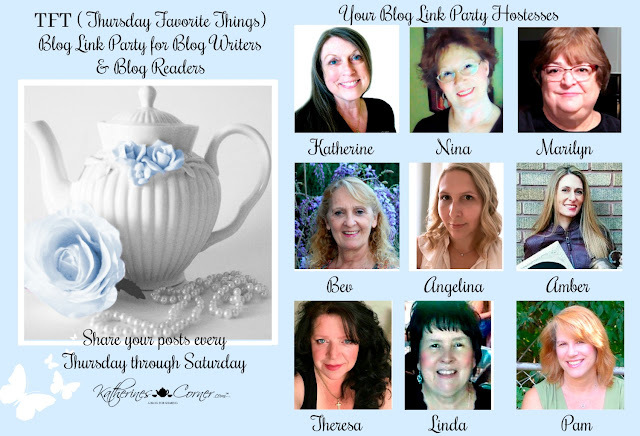 Thank you so stopping by and supporting the party. I hope you have a lovely holiday too and a great week ahead. We love all your Christmas-y features this week, Bev! Thanks for hosting. This week we're sharing #304. Enjoy your weekend! Wow, this bread pudding looks so yummy. I have some eggnog so I am pinning this to make next week.